The Rotoform HP (High Performance) rotary depositing system is built on the proven strengths of our Rotoform 4G but brings particular benefits to the challenge of processing of high viscosity products at high volumes. The key difference between this and our standard 4G model is a modified product distribution channel coupled with an increased outer shell diameter. This enables increased efficiency in terms of even and consistent distribution of the melt across the full width of the steel belt cooler, ensuring maximum pastille uniformity. This is particularly beneficial in terms of high capacity processing of high viscosity products such as chocolate, resin or hot melt. Other improvements incorporated into the development of this model include the innovative and patented feature to influence the product distribution during production. 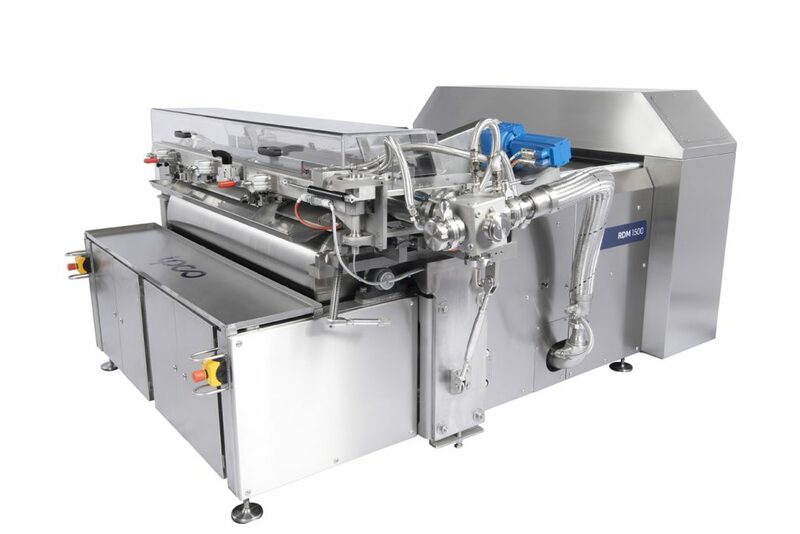 It allows the optimization of the system to achieve maximum possible pastille uniformity. Reliable, versatile and easy to use, the IPCO Rotoform HP is available on new systems or as a retrofit replacement like all the other IPCO Rotoform systems.